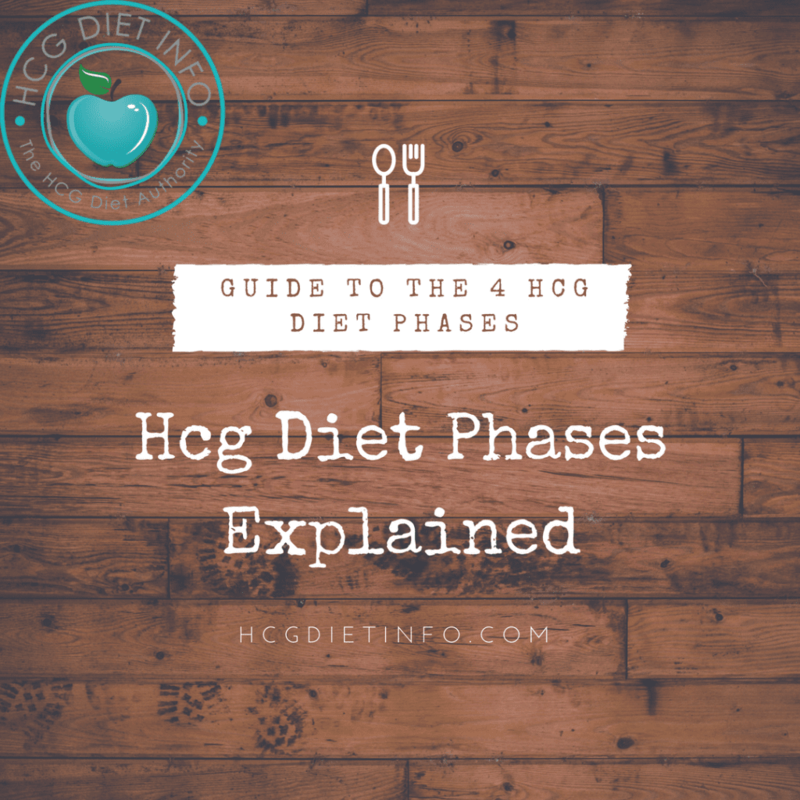 The Hcg Diet consists of 4 Phases. Each phase is carefully planned, and consists of its own individual guidelines and requirements. Phase 1 (P1) is known as the “loading phase.” Phase 2 (P2) is the “weight loss phase.” Phase 3, is the “transition” phase. Phase 4 is the “maintenance phase.” Read on for an overview of each phase, or follow the links for thorough overviews of each individual phase, including frequently asked questions, how-to’s, tips and more. Phase 1 (P1): The Loading Phase. Phase 2 (P2): The Weight Loss/Diet Phase. Phase 4 (P4): Life Maintenance Phase. The “Prep Phase” also known as the “Doing Your Homework” Phase. While this isn’t a traditional phase, it is an important one since it is a necessary stage of the Hcg Diet. This is where you gather all your information, determine which provider and protocol you will be following, order your supplies, and of course, establish a menu plan and a proper exercise routine. Being prepared ultimately means a better HCG Diet experience, from start to finish… and even longer. This is how you plan it out…. Gather your sources and support. 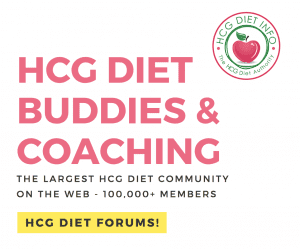 Read the Pounds and Inches manuscript (we share a free PDF and Audiobook) and choose which support groups you would like to join in the Hcg Diet forums. Introduce yourself before you begin and don’t be afraid to ask questions early! Choose a high quality HCG source in the USA: Research and choose the Hcg Diet program that is right for you. We suggest selecting an online provider that offers a complete HCG weight loss program rather than going the HCG DIY (Do it yourself) route. Research has shown that dieters who choose a complete program over DIY, have an 82% higher success rate and far less challenges along the way (plus it saves you money vs. weight loss clinics.) Jen’s recommended Hcg sources can be found here: Buy REAL Hcg Online. Establish an exercise routine: A light exercise routine offers immense benefits while on the Hcg Diet and is also key to keeping the weight off. Remember not to overdo it in Phase 2 (weight loss phase,) and choose light impact workouts that are right for your particular needs; a few that we recommend are walking, tennis, swimming and yoga. Read our guide to the HCG Diet and Exercise. Establish a menu plan, and gather your HCG Diet recipes. By preparing your approach to food now, you can have a kitchen that is HCG Diet-friendly, making meal time decisions easier and without temptation to stray from the protocol. You can also print out a shopping list and meal plan, look for local Farmer’s markets and explore recipes specific to Hcg Diet allowed foods for each phase. Read, Sample Menus and HCG Diet Recipes. Prepare for challenges. This is one tip I strongly suggest spending time on. The fact is, almost every Hcg dieter has a set back, especially during the 2nd phase. It can be helpful to know beforehand, if/when to expect a stall, how to handle a cheat, and what to order when dining out. Determine how you will approach challenges, beforehand. Read, Hcg Diet Help and Support. Reward your progress. Decide what your rewards will be, not just for your end goal, but for different points of success during your journey. These rewards should not be food-related, but instead, consider new clothing items, a travel experience, or that new FitBit you’ve had your eye on. Oh, and make your final-goal reward a good one- you’ve earned it! This HCG Diet phase, or, “Loading Days” were not in the original HCG Diet, but rather, introduced by Kevin Trudeau in his book, “The Weight Loss Cure” decades after the original diet was published in “Pounds and Inches” (by ATW Simeons.) The necessity of this stage has since been established as a helpful one, and the majority of modern HCG Diet Plans still include this phase. We recommend including this phase for many important reasons. The Hcg Diet phase 1 (P1) is arguably the easiest, and lasts for two days. In P1, you are to eat as many fatty, high-calorie foods as possible in order to store enough abnormal body fat to last through phase 2. Foods like fried chicken, pizza, hamburgers and high-fat desserts such as cheesecake or doughnuts are good choices for this phase. The denser the food, the better, so don’t skimp on things like cheese and butter when you’re in phase 1. It might seem counter-intuitive to begin a diet by gorging yourself on as much unhealthy food as possible, but that’s okay. The kind of fat that’s stored when these high-fat, high-calorie foods are eaten will slowly be burned off day by day during the low-calorie phase 2. Hcg Diet Phase 2 is the infamous weight loss phase of the plan, where a strict protocol is followed and rapid weight loss occurs. 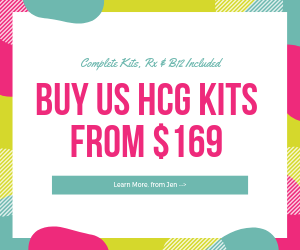 This is the most challenging of all Hcg Diet Phases, and includes following the 500 calorie diet, minimal exercise, and taking Hcg consistently. There are a number of specifics to this protocol,: Hcg Diet Phase 2 resource page with dozens of frequently asked questions and topics regarding Phase 2. 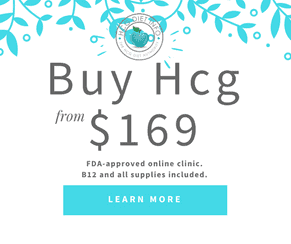 The amount of daily Hcg can vary, but typically ranges from 125iu to 175iu, with some individuals needing less and other needing a higher dosage of up to 250 iu daily. Again, this amount is for daily injectables. If taking Hcg Drops or tablets, then the dosage would be higher. The final 3 days of an Hcg diet round, no Hcg is taken, since it takes 3 days for Hcg to be completely out of the body’s system. The Phase 2 diet consists of 500 very carefully chosen foods (see allowed foods list here) and specific eating guidelines. For example, the foods list includes only coffee or tea and possibly a fruit, for breakfast, with lunch and dinner being as follows: 1 protein, 1 fruit, 1 vegetable, and 1 melba toast or grissini breadstick. Guidelines include specific preparation and portion sizes, and limited substitutions and exchanges. Hcg Diet Phase 3 of the Hcg Diet is the phase following rapid weight loss. It is referred to as the transition phase, or stabilization phase. This phase lasts 3 weeks and involves the careful introduction of foods not permitted on Phase 2 of the hcg diet. Starches and sugars are still not permitted however. The increase in calories is done by increasing portions from the Hcg Diet approved foods list, while cautiously adding healthy foods not allowed during phase 2. This allows your digestive system to adjust while also allowing for the opportunity to identify food sensitivities and hormonal imbalances that may be responsible for weight gain. During phase 3, it is highly recommend that healthy fats are introduced on the diet, 1 at a time. For example, in any given day, a single serving size of avocado is added to a meal, and no other new item of food is eaten at that time. Examples of healthy fat foods for Phase 3, include avocado, salmon, almond butter, tuna, nuts, etc. Read more about Phase 3 foods. Phase 4 of the Hcg Diet Plan is the post-everything phase, where the dieter is no longer a dieter. They have successfully transitioned from the restrictions of phase 2 and phase 3, into every day healthy living at their new healthy weight. This phase requires health and wellness habits that are learned during the previous 3 phases of the Hcg diet plan. Tips for maintaining weight loss at the start of Phase 4: Have a plan that covers the basic implementation healthy eating and movement into every day living. For example; continue to eat mostly as you would during Phase 3, with minimal foods that are not allowed during that phase. Also, continue to weigh your portions and read labels to avoid unhealthy serving sizes and ingredients that potentially slow the metabolism and put weight on. Being aware of labels and continuing to monitor the amounts of food eaten, are a key strategy to maintaining weight loss. In addition, this is an excellent time to increase physical activity. Some studies show that as little as 20 minutes of movement each morning, are sufficient for maintaining weight loss. If you are not fond of going to the gym and trudging along on a treadmill, consider taking up a new hobby: join a sports team, take up yoga, or learn to play a new sport such as golf. Another tip is choosing activities that require a partner, since this can make the activity more fun and also require a sense of accountability- key tactics for establishing healthy activity.